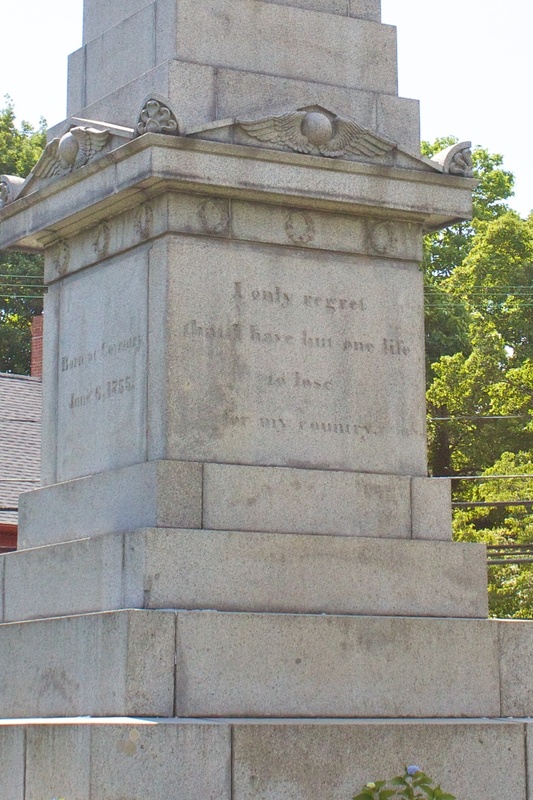 Nathan Hale is honored in his hometown of Coventry with a large monument in a cemetery that also bears his name. 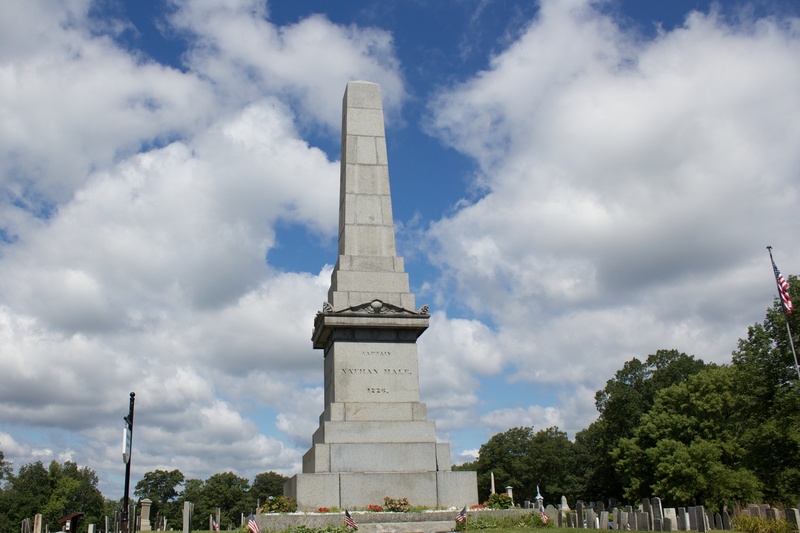 The 1846 monument, near the entrance to Nathan Hale Cemetery on Lake Street, is a 45-foot-tall granite obelisk with Egyptian-themed decorative elements. 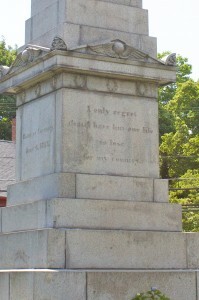 The monument was designed by New Haven architect Henry Austin. 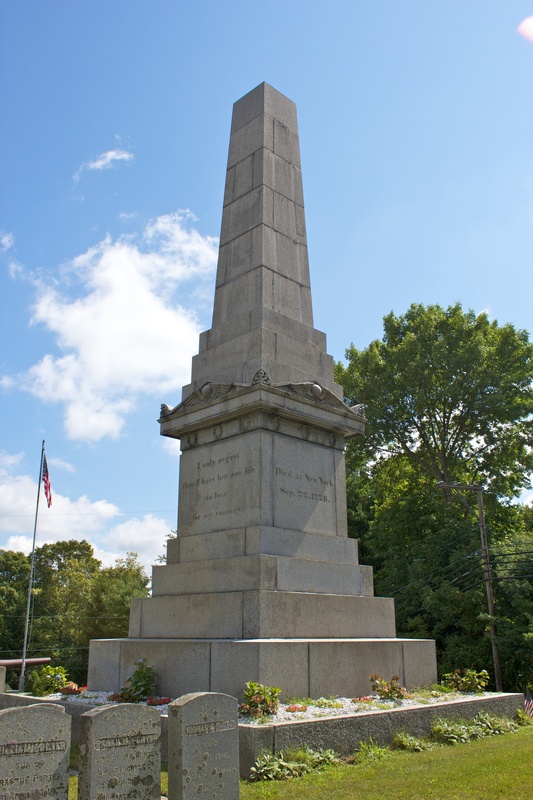 At the time of its dedication, some criticized the monument for being large and immodest. 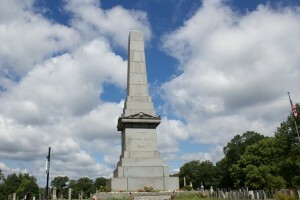 Fundraising for the monument began in 1837, and the monument was dedicated in 1846. The monument was restored in 1890s, and in 1923, the monument was transferred to the State of Connecticut. A wayside marker near the monument provides information about Hale’s life and the cemetery. 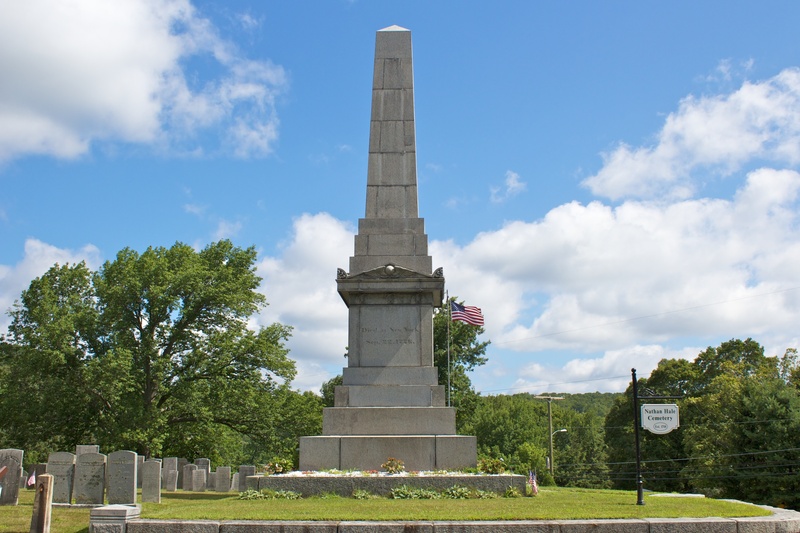 Hale, a Coventry native and Yale graduate, taught in East Haddam and New London before volunteering to serve as a spy in New York in 1776. 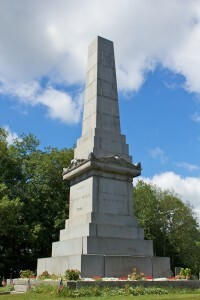 Hale was captured and hanged by the British, and his body was buried in an unrecorded location. 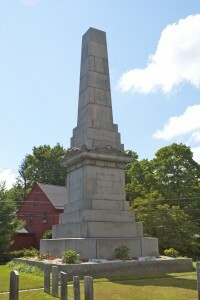 Hale, designated as Connecticut’s official hero in 1985, is honored with statues in New London’s Williams Park, the Yale campus, the state capitol, New Haven’s Fort Nathan Hale, and with a bust in East Haddam. His Coventry home is maintained as a museum. The town of Coventry plans to dedicate a statue of Hale next year as part of celebrations commemorating the 300th anniversary of the town’s founding.